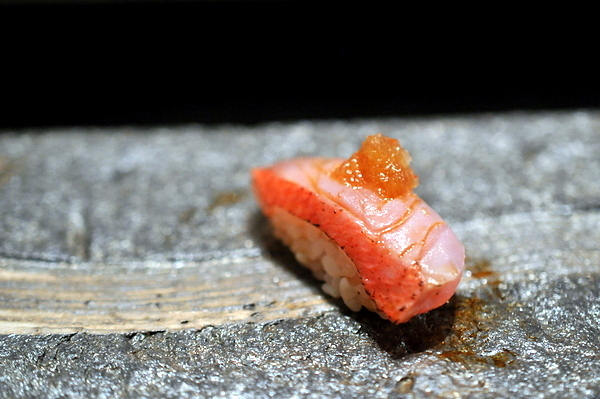 Having been to most of LA's top sushi restaurants I found myself looking for something new. 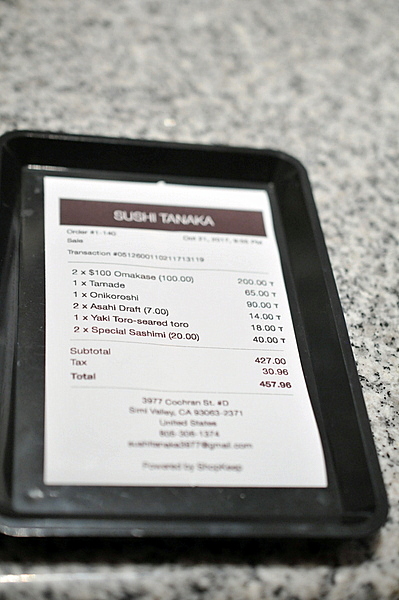 So when I heard about Sushi Tanaka I grit my teeth and made the 75 mile drive to a tiny spot located in a nondescript strip mall in Simi Valley. I wasn't sure what to expect though I was comforted by the fact that the Chef's resume included stints at both Nobu and Shunji in LA. 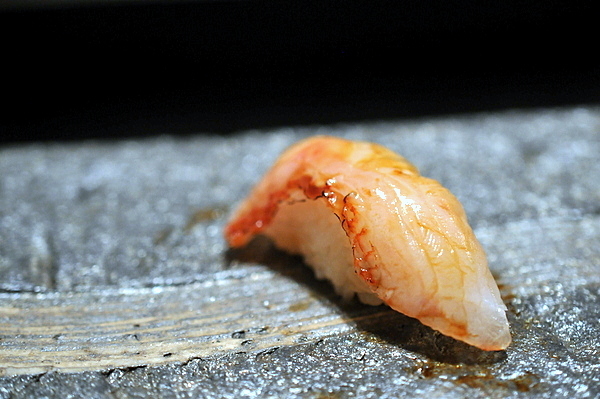 Sushi Tanaka is run by Chef Sei Tanaka and his wife who serves as the spot's only front-of-house staff. The restaurant is smaller than most neighborhood sushi spots with only a tiny 7 seat bar and a handful of tables running along one side of the restaurant. 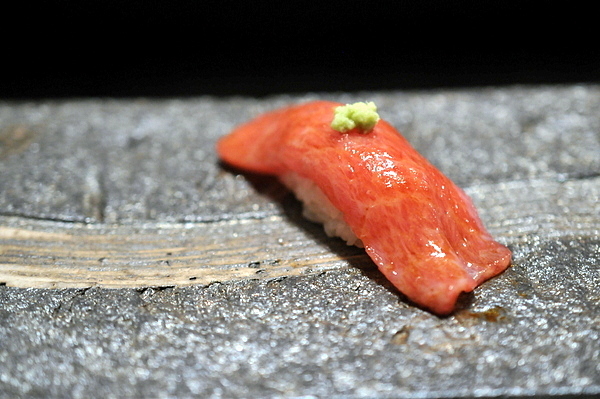 When I made the reservation, I had requested a more nigiri-heavy meal and Chef Tanaka was happy to accommodate us offering us 1 plated appetizer and 18 pieces of nigiri for $100 rather than the standard 3 plated appetizers and 13 pieces of nigiri. For those looking to splurge there is an "unlimited" option that includes delicacies like Japanese beef, live lobsters, and hairy crab. 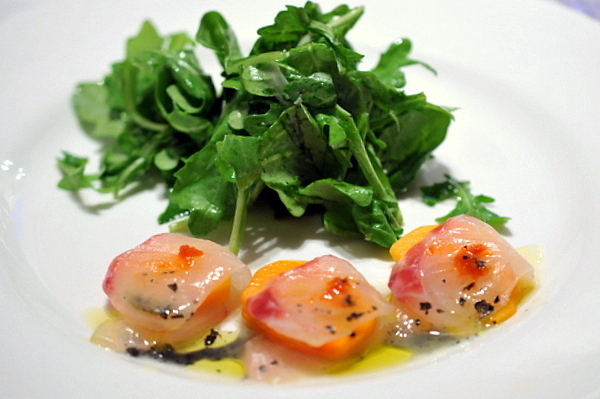 The meal got started with a delicate salad served with a side of Madai snapper dressed with sudachi and persimmon. The fish is a nice textural contrast to the heart of palm but the sweet-sour contrast from the fruit highlight the flavor profile along with a nutty bitterness from the greens. 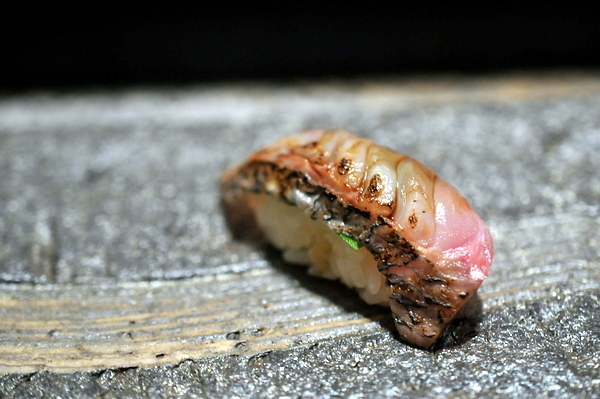 The pink flesh was nicely charred with a blowtorch and chunk of binchotan charcoal which gave it a pleasing smokiness. The fish itself is moderately oily though there was an unexpectedly sinewy layer running just under the skin that gave the fish a pleasantly complex texture. This was a pleasantly minimalist rendition of Spanish Mackerel. The single strip of ginger imparts a surprisingly intense spiciness that combines with the fish's natural oil to create a slighly sweet flavor. 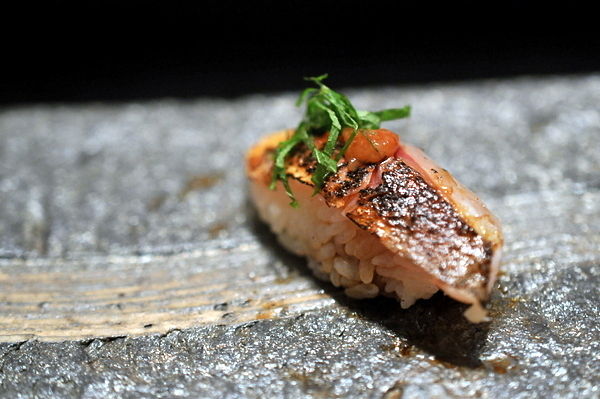 Most chefs tend to grill Sanma over charcoal which results in a dry tough texture but Chef Tanaka's opted for a raw preparation that still highlight's the fish's natural oiliness but with a sublime, quiveringly tender mouthfeel. 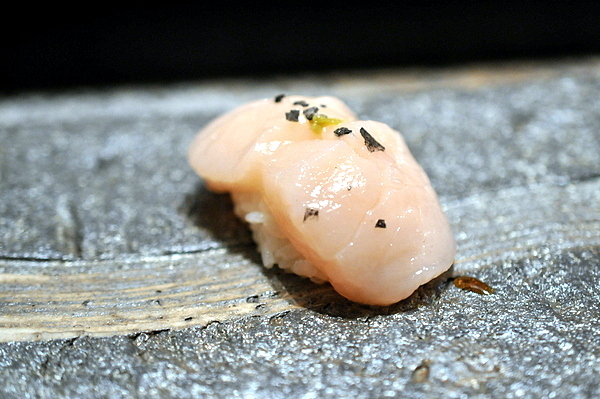 This was a quintessential Hokkaido Scallop topped with a salty-spicy mix of charcoal salt and yuzu kocho to compliment the sweetness of the flesh. Sai-san followed up the scallop with a sliver of Geoduck though other than both being bivalves, the two pieces of shellfish were as different as could be. 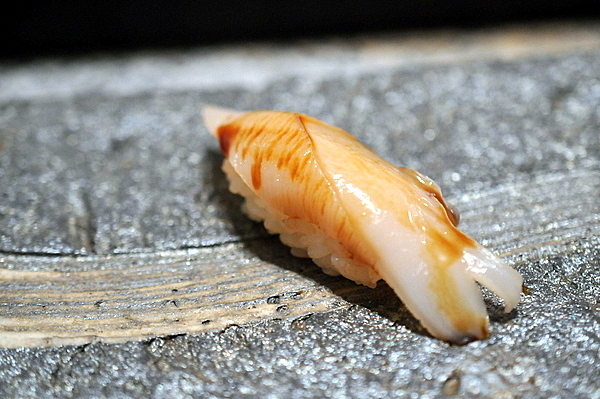 The Mirugai offers a much denser and firmer texture to the point of being crunchy along with a strong salinity. Cooked Tako isn't usually my thing but this version was smoked then charred giving it a tender texture; the addition of a slightly sweet sauce gives the meat a satisfying barbecue-like flavor. The Amberjack was on the lean side; with less oil the fish had a firmer texture and milder flavor than the typical cut of Kanpachi. 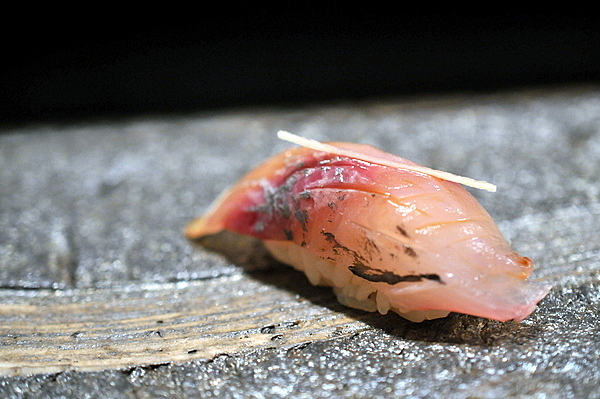 I really appreciated having the Shima Aji follow the Kanpachi. The pink striped alabaster color and snappy texture were reminiscent of the preceding fish but the flavor had a bit more oily warmth. Everything about this piece screamed quintessential Akami, from the soft even texture to the mild clean flavor though I could have done with a bit more wasabi. This was one of the best pieces of toro that I've had in a long while. The trick was to go with a wider surface area but thinner cut that coats the tongue in an ephemeral blanket of heady fish oil. Truffle oil and daikon aren't two ingredients I would expect to find together but their combination on the kinmedai was nothing short of majestic funky yet savory with a bit of char to boot. 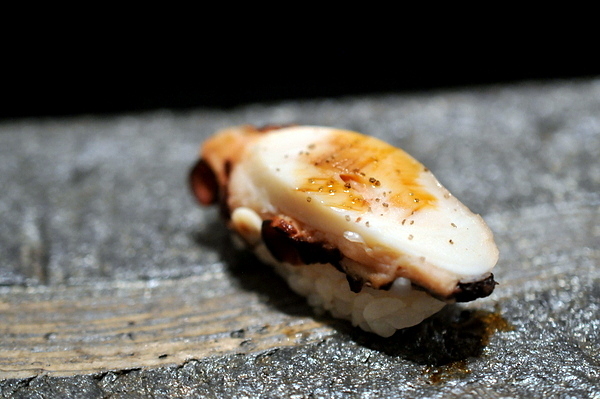 Kinki has a viscous supple texture reminiscent of raw octopus that was quite memorable while the quick sear added depth to the normally mild white fish. 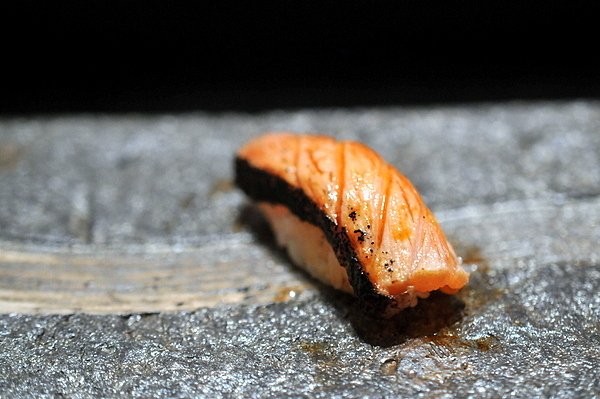 Sei-san's seared kelp marinated Salmon breathes new life into the tired ordinary salmon that graces every sushi newbie's plate. The fish takes on loads more depth and character from the undertones of brine from the kelp to the nuanced smoke laced with buttery sweetness. Hands down the best salmon nigiri I've ever tasted. 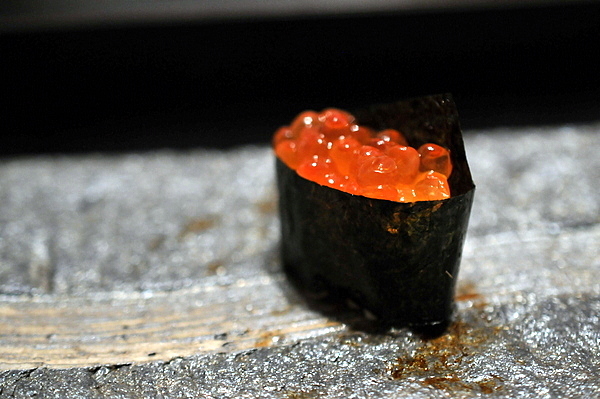 Chef Tanaka throws a curveball on the classic Ikura with a dose of truffle oil. 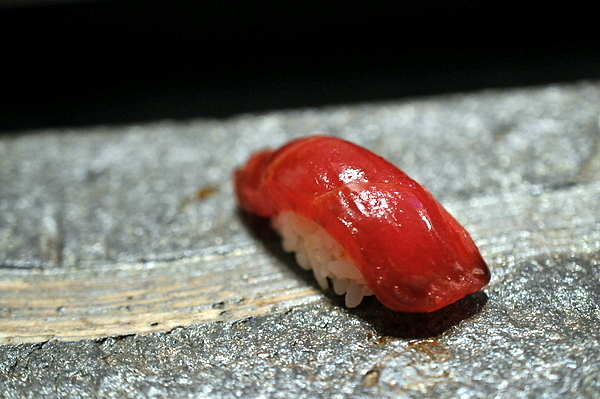 I found the flavor a bit heavy-handed and the texture of the roe was a little flabby to boot. 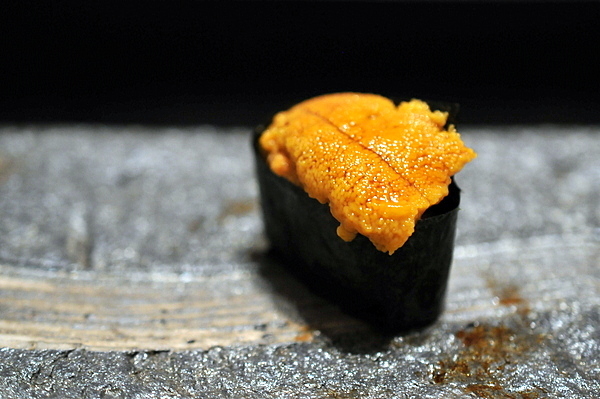 After a rare miss with the Ikura, the meal got back on track with a perfect piece of sweet Santa Barbara Uni. The Barracuda made for a a deftly composed one-bit course blending a burst of tangy pungent plum, fragrant shiso, and a pleasing deep smoke-laced oily twang. 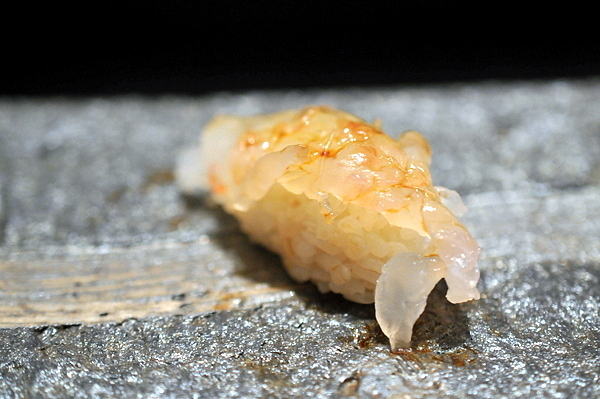 The Amaebi is served feathered with tiny cuts to accentuate the shrimp's natural crunch. 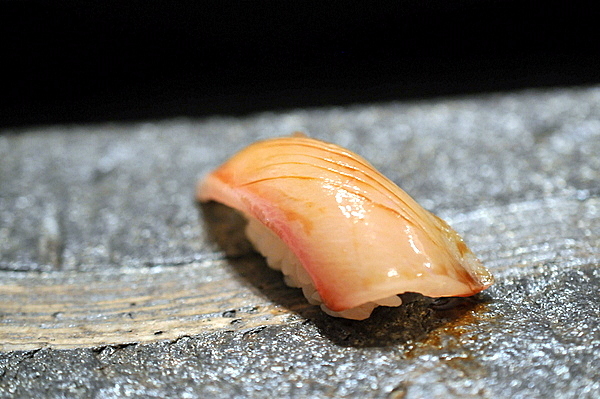 A deft brush of soy sauce accentuates the shellfish's intrinsic sweetness. 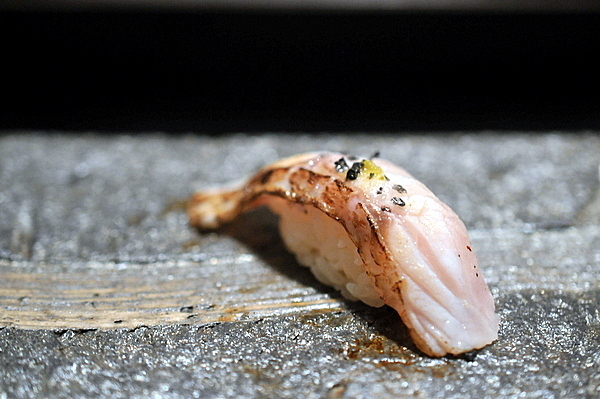 This was one of the softer cuts of fish on the night with an almost creamy mouthfeel that throws the crunch of the black salt in sharp relief. This is one of Chef Sei's signature dishes, pairing a lean cut of Filefish with a lobe of sweet creamy liver. The former provides a silky supple textural base while the latter brings a seductive mouth-coating richness. 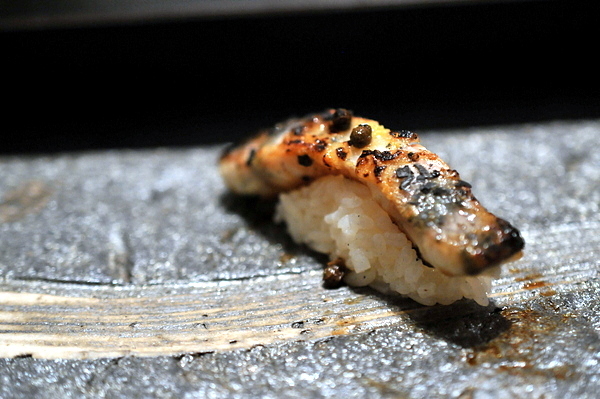 Chef Tanaka eschews the traditional sticky sweet Nitsume sauce and prefers to serve the unagi au natural. I much preferred this rendition which still has the tender fatty texture and and simple charred flavor. We opted to add a couple extras to our meal. 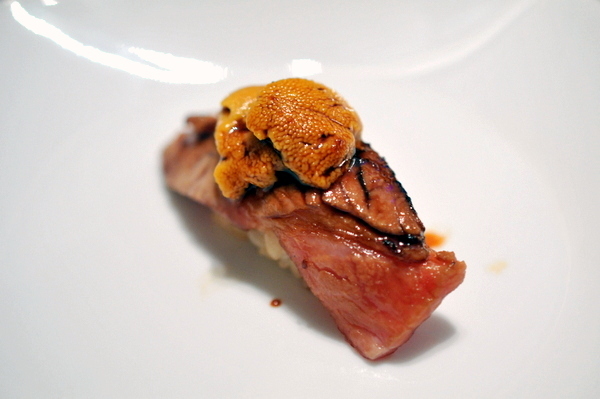 First up was a seared Toro topped with delicate lobes of uni. The warm oily fish and cool pillows of creamy uni result in a shudderingly decadent pairing that verges on sensory overload. Our second supplement was actually something that is included as one of the plated appetizers in the regular $100 omakase. 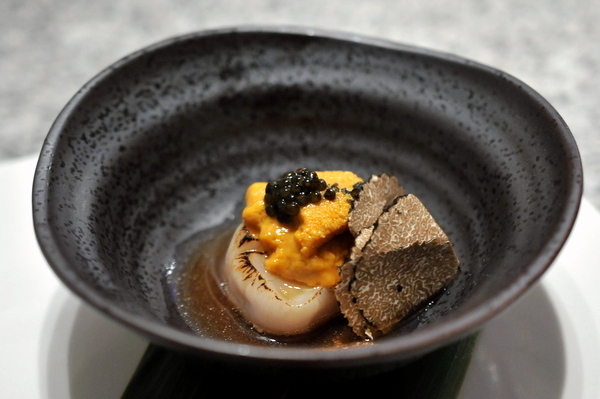 The seared scallop comes topped with more uni and caviar with a slice of truffle to complete the dish. Not quite as overtly rich as the previous dish, there was still plenty to love about this luxurious morsel. 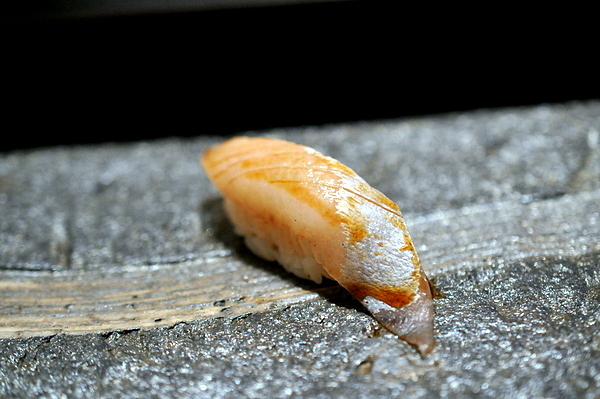 Of course the meal ended with a piece of Tamago. 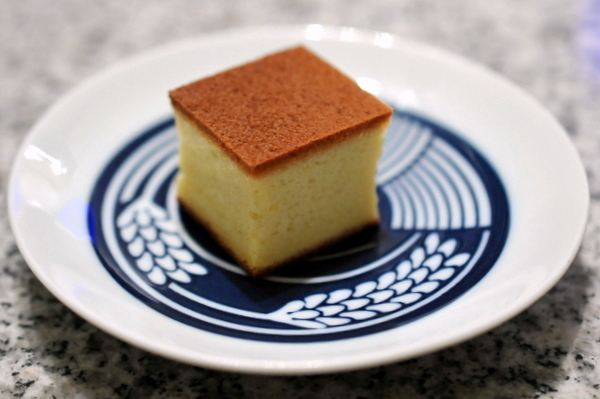 I was glad to see Chef Tanaka serves the sweet sponge cake-like variant. I have to say Sushi Tanaka exceeded my every expectation. 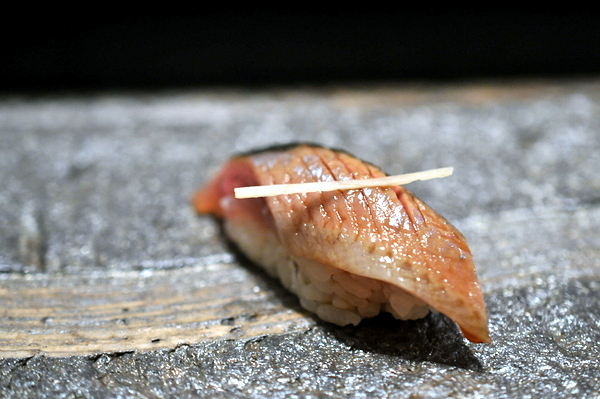 The fish quality is comparable to any of LA's top spots but at half the price. 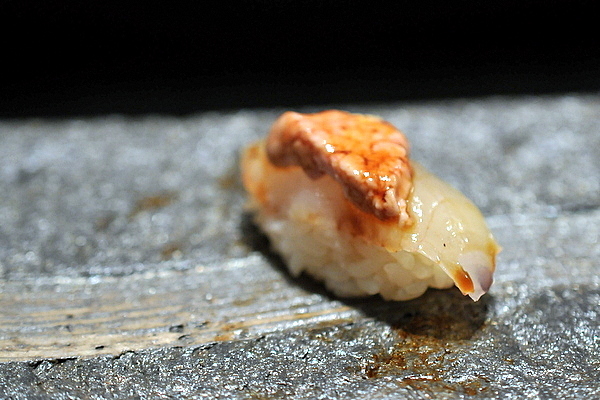 Chef Tanaka also nails the rice temperature and consistency perhaps a legacy of his training at Shunji. Pacing can be a bit slow as Chef Tanaka not only handles all the sushi preparation, but does all the cooking normally handled by back of the house. When the restaurant is busy, this can result in a bit of lag between pieces, though the pace picked up towards the end of the meal so if this bothers you I'd recommend a later reservation. Bottom line, if only this restaurant weren't so damn far it would undoubtedly be my go to spot for sushi.